Today, I’m excited to share my highly researched gluten free afternoon tea London bucket list! As you know, I am an afternoon tea fiend. Being gluten free throws a slight wrench in that (what with the scones, the sandwiches, the pastries… basically everything but the tea). Luckily, however, London hosts a good number of afternoon teas that cater to us who are gluten free! When I say I’ve researched this post – I mean it. Don’t get me wrong, I’d love a quintessential afternoon tea at The Ritz or Sketch, but both have flunked their gluten free reviews. I’ve curated this list from the best gluten free afternoon tea London experiences…based on hours of research (it’s a hard life, I know). Keep reading to the bottom where you will find my GPS map of all the gluten free afternoon tea London locations! Hopefully I will update this list as I get to try all of these afternoon teas. 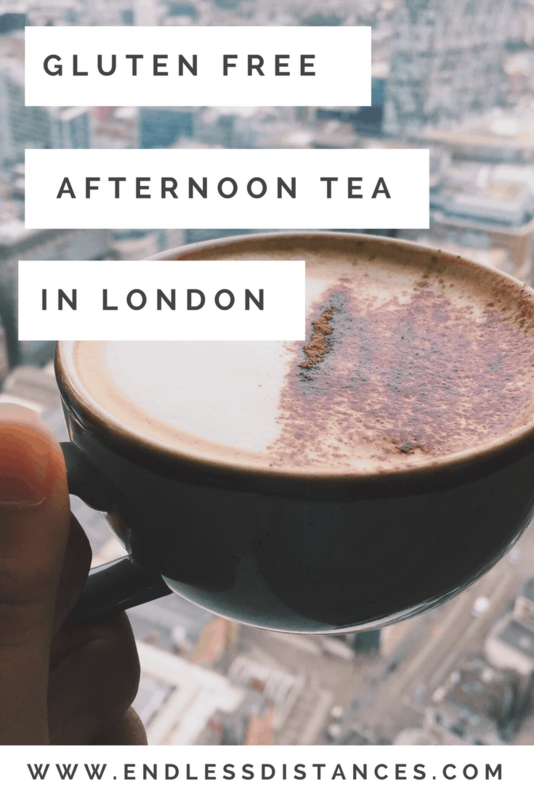 If you know of any other gluten free afternoon teas in London, comment below and I will add to this list! *Update June 2018: This has turned into one of my most popular posts! I’m proud of you guys, you all love gluten free afternoon tea as much as me 😉 I’ve updated the gluten free afternoon tea London bucket list with new prices, menus, a map, and more. One of the more budget-friendly locations on the list, Bea’s of Bloomsbury has locations in Bloomsbury, St Pauls, and Marylebone which all serve afternoon tea. Require 24 hours notice for gluten free afternoon tea. You're my cup of tea 🙂 pc to @mango0722 !!!!! A bit less traditional than some others on this list, B’s Bakery has a cafe in Covent Garden, as well as afternoon tea bus tours, picnics, boat tours, and deliveries. I went on the bus tour two years ago and was pretty appalled by the service, but I’m open to checking out their cafe and realize that my experience might have been a one-off. Price ranges from £33 (afternoon tea in the cafe) to up to £70 for the tours (depending on location of your seat). Costs £4 more on the weekend for afternoon tea in the cafe. The priciest on this list, but also with the best reviews out there! Claridge’s is an iconic London luxury hotel, known for their sumptuous afternoon tea. Luckily, that includes gluten free afternoon tea! Advise you are gluten free when you reserve. 108 Brasserie is a lovely restaurant located in Marylebone in central London. Their seasonal afternoon tea menu has a focus on ingredients local to England. For example, in the summer they serve fresh English strawberry, Dorset crab sandwiches, Devonshire clotted cream, and more! Price starts at £32 per afternoon tea. Fortnum & Mason are the London gurus of tea… so you know the actual tea part of afternoon tea will be perfection here! I was happy to hear they offer gluten free afternoon tea, although it is on the pricier end of this gluten free afternoon tea London list. Price starts at £44 per afternoon tea. Bluebird is the instagram haven of Chelsea, perfect for any Made in Chelsea wanna be’s out there. No judgement though as it is absolutely gorgeous, especially in summer with all the flowers in bloom! They have tons of food options including afternoon tea. Despite the posh Chelsea location, Bluebird actually has one of the cheaper gluten free afternoon tea offerings on in London. NOTE: gluten free afternoon tea is only served Friday, Saturday, and Sunday afternoons here. The Chesterfield is a luxury hotel in Mayfair which also boasts a well renowned afternoon tea, including gluten free! I’ve stayed at the Chesterfield before and it is stunning, elegant, and oh-so-British. They also put on themed afternoon teas, in particular the “Charles and the Chesterfield afternoon tea” which is themed after Willy Wonka! 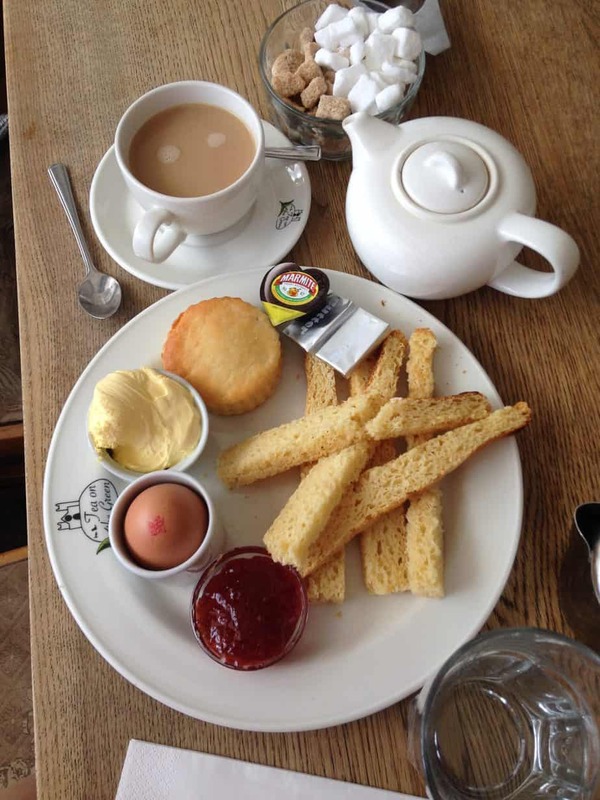 I can’t wait to check some items off my gluten free afternoon tea London bucket list when I get back to the UK. I actually have a few reservations for afternoon teas during my visit so keep your eyes out for reviews. In the mean time, be sure to comment below if you’ve had gluten free afternoon tea at one of these London locations, or if you have any other recommendations for gluten free afternoon tea in London. *This post contains affiliate links. I may make a small commission from these links all this comes at no cost to you. This helps me with the running costs of Endless Distances!